Christina is a second generation harpist, who began playing harp at the age of four. She received Music and Education degrees from the University of Vermont and also studied harp at the Mozarteum in Salzburg, Austria and at McGill University in Montreal. She received her Music Therapy equivalency from Arizona State University. In addition to 20 years of public school music teaching, she studied Steiner Education and has taught in Waldorf Schools. As an recording artist with 15 recordings distributed Internationally, she has toured extensively. 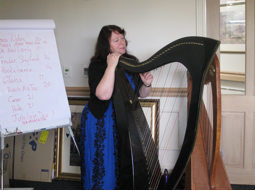 She is an active workshop organizer and has been instrumental in the revival of the folk harp since the early 1970’s. In 1982 she founded the Scottish Harp Society of America. Healing with Sound, working in hospitals and hospices, composing, teaching, and writing books round out her full life. She founded the International Harp Therapy Program in 1994. 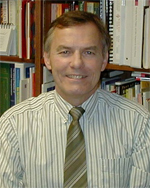 Professor of Counseling, Wake Forest University Medical Baptist Hospital – Winston-Salem, N.C.
Richard McQuellon is Director of the Psychosocial Oncology and Cancer Patient Support Programs at Wake Forest University/Baptist Medical Center. He is Professor, Hematology and Oncology in the Department of Medicine. He has a B.S. is in Psychology from the University of Washington and a PhD in Counseling Psychology from Michigan State University. His research and publications are in the area of quality of life in cancer, interpersonal communication, and depression in chronic illness. He has taught graduate courses at Michigan State and Wake Forest Universities and consulted in London, Ireland and throughout the US on effective communication skills and quality of life research. His daily clinical work is centered around conversation with cancer patients and their family members. 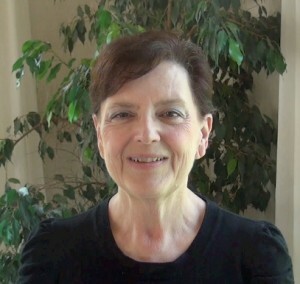 Professor Barbara Crowe retired as Director of Music Therapy at Arizona State University beginning in 1981, having held a similar position at Indiana University-Purdue University at Fort Wayne from 1977-1981. She holds a Bachelor’s degree (1973) and Master¹s degree (1977) in music therapy from Michigan State University and completed her clinical internship at Ypsilanti State Hospital in Michigan. Her clinical experience in music therapy includes work with emotionally disturbed adolescents at the University of Michigan Neuropsychiatric Institute, mentally retarded adolescents at the Beekman School in Lansing, Michigan, and as a consultant in music therapy in geriatric care in Fort Wayne, Indiana and Phoenix, Arizona. Professor Crowe’s research interests include the historical antecedents of modern music therapy and the theoretical foundations of music therapy practice. She presents extensively at conferences and workshops including “Music Therapy and Children” for the Academy of Osteopathic Physicians, “Music Therapy and Transpersonal Psychology” for the Annual Conference of the Association for Transpersonal Psychology, “Music Therapy and Models Theory” for the First North American Music Therapy Conference, “Music as Subtle Energy Healing” for the Third Sound Healers Colloquium in New Hampshire, and “Music Therapy and Meditative Practices” for the University of Denpasar School of Medicine (Indonesia). She has worked extensively with group percussion experiences as a basis for music therapy. She is the former Executive Director of the Rhythm for Life Foundation. She served as project director and principle author for two grants, “Cost Effective Activity Programs for Older Adults with Dementia” based on a US Administration on Aging grant and “Utilizing Group Percussion Strategies for Promoting Volunteerism in the Well Elderly” funded by the NARAS Foundation. She developed and wrote a curriculum using group percussion experiences as the basis of a gang prevention program for junior high school students at-risk for gang involvement. She is the author of Music and Soulmaking: Toward a New Theory and Philosophy of Music Therapy. Barbara Crowe was active in the National Association for Music Therapy and the current American Music Therapy Association. She is a past Vice President and President of the National Association for Music. She chaired the Commission on Education and Clinical Training and co-authored the new Standards of Education and Training for the American Association for Music Therapy. Judith received her B.S. in nursing from State University in New York. She studied cello at the New England Conservatory of Music. She is a certified Resonant Kinesiologist and has taught with Susan Gallagher Borg for many years. As a musician and recording artist, Judith has integrated her music and healing backgrounds to create a unique synthesis of sound and healing. Her work with stroke survivors has been featured in Jonathan Goldmans’ book, Healing Sounds.